It was far from a classic on Tuesday evening, but Tottenham Hotspur did just enough to take a narrow advantage over Chelsea in the EFL Cup semi-final first leg at Wembley. A controversial Video Assistant Referee decision helped decide the game as Harry Kane was adjudged to have been onside as Toby Alderweireld set him free, and having been hauled down in the penalty box, he converted the subsequent spot kick to give us the 1-0 victory on the night. Chelsea had opportunities of their own, but coming back into the squad for manager Mauricio Pochettino, goalkeeper Paulo Gazzaniga was again in fine form and their best efforts couldn’t beat the newly capped Argentinian international. 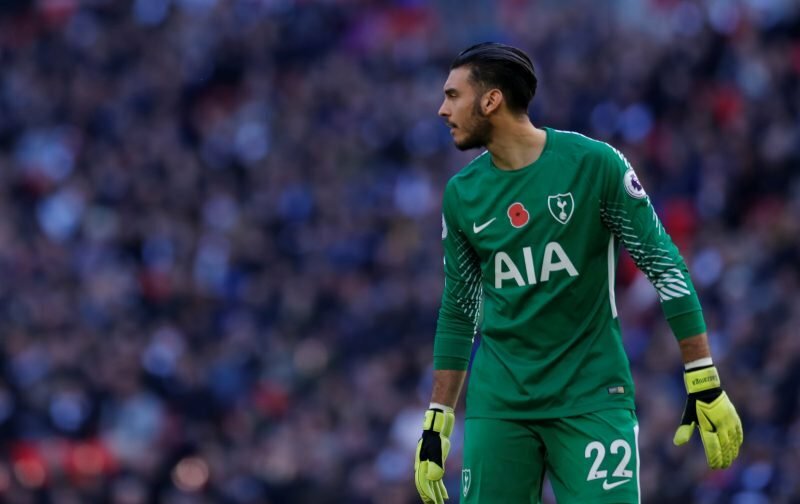 With it being another good performance between the sticks for the 27-year-old, Spurs fans on social media were again lauding his growth this season as he’s more than established himself as our Number 2 stopper, and calls for him to take the Number 1 shirt continue to grow. whenever i watch him playing, he never disappoint me???? Looking good Gazza. Future No1??? ?